Capital City Paincare is a single specialty group dedicated to the practice of pain management. Dr. Sarah Blake provides pain management consultations, evaluations and interventional pain management procedures at offices in Columbus and Mansfield. Capital City Pain Care is dedicated to controlling your pain so that you can manage your life. We provide the most up-to-date treatment options available. We recognize that chronic pain can be an exhausting medical problem that can have profound effects on your physical and mental well-being. Our patients are thoroughly evaluated, focused testing is ordered, and an individualized comprehensive treatment plan is developed. Pain is treated with multiple approaches: chiropractic care, physical therapy, medication management and interventional procedures. 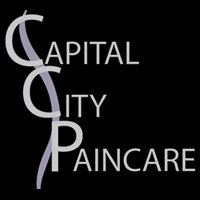 With the rising cost of healthcare, escalating unemployment rate, and the failing economy, Capital City Pain Care is dedicated to cost containment which includes ordering only essential testing at economical imaging facilities and labs, monitoring the cost of prescription medications, and performing all interventional procedures in a private outpatient setting. Capital City Pain Care appreciates the complexity of pain and is dedicated to collaborating with your primary care physician, chiropractor, and physical therapist. Referrals to orthopedic surgeons and neurosurgeons are made when all conservative care options have been exhausted. We are dedicated to returning you to gainful employment and the activities that you enjoy. Capital City Pain Care is a licensed pain management clinic by the Ohio State Board of Pharmacy.